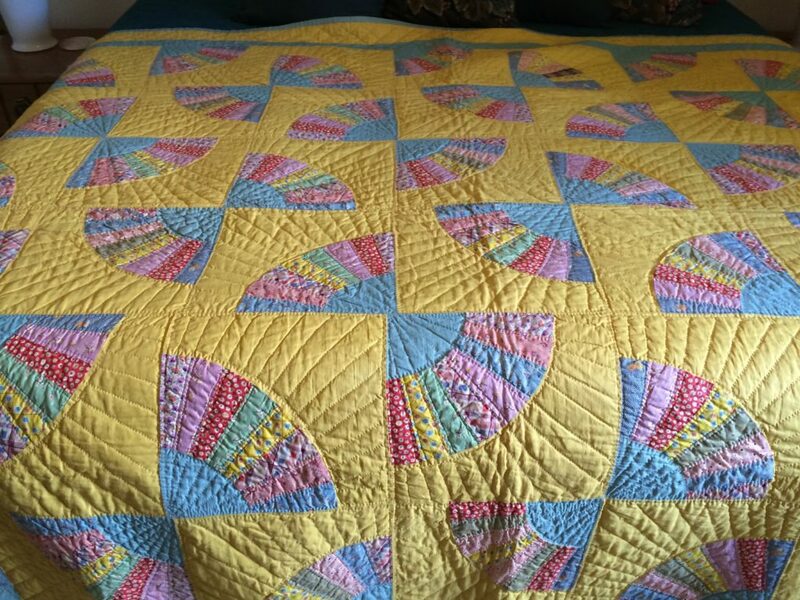 This pattern is called Grandmother’s Fan, and this quilt was passed down to me from the other side of my family, my father’s side. This was pieced and quilted by his maternal grandmother, and it’s been astonishingly well preserved. I think my grandmother, her daughter, kept it tucked away and never used it. The yellow, I’m told, is typical of 1930s colors, as is the turquoise found in the base of the fans and the binding. Some of the fabrics have patterns very like feedsack fabrics, which is thrilling to me. 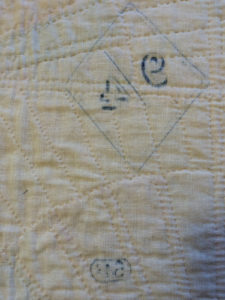 There are some interesting stamped numbers on the back which I can’t trace definitively but may possible come from the end of the fabric roll. Though I once would have said a mustard yellow didn’t appeal to me, I love this quilt and enjoy looking at it more all the time! How absolutely beautiful! 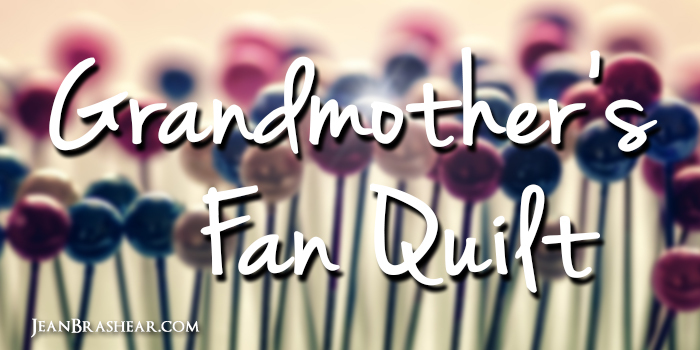 You are so fortunate to have a family heirloom in such pristine condition. The colors are lovely. Thank you so much! I do feel really fortunate!